Announcement Welcome to Blue House Joys! I am passionate about making beautiful products for your home that cultivate space for creativity, and learning. With Montessori and minimalistic influences my reading nooks can add both functionality and beauty into any home. Welcome to Blue House Joys! I am passionate about making beautiful products for your home that cultivate space for creativity, and learning. Arrived quickly and was relatively easy to install. Holds more than I thought, wish I had gotten 2 more. It’s the perfect addition to my toddlers new big girl bed! 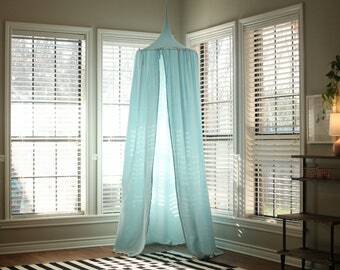 Soft, sturdy, it’s just the right size and drapes beautifully. The side supports were a bit flimsier than expected (the actual type of wood was not great quality) and it took a bit longer to install than I imagined. I am very savvy at putting things together, so it was a surprise. I hope it holds up in the long run. New fabric added to the shop for our bookslings!! 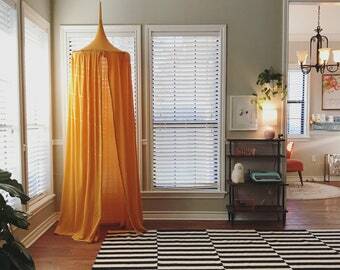 Get your room adventure ready with our new storm canopy! Hi! I'm Terri, the designer, seamstress, lady running the show at Blue House Joys. 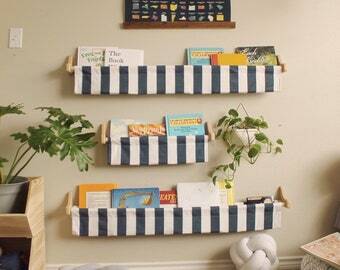 the bookshelves are made with your child in mind! They are easy to use, beautiful, and a great space saver. The products are made to work in any space in your home. They are both aesthetically pleasing as well as useful! Inspire wonder with one of the canopies offered in many different colors. I am a stay at home mom that loves to sew and create during my free time. I started my shop back in 2009 when our first son was born. I love creating during my little windows of free time and have always enjoyed the creative community found here on Etsy. I took a couple years off after our third was born, but have been asked often when I would reopen my shop. I missed this outlet of creative space while my shop was closed and with my husbands, and family's encouragement I am so excited to open it back up! What brings me the most joy creatively is making things that make our home feel more joyful and my children's playtime more magical. I love to make things that help their imaginations grow and give them the opportunity for lots of imaginative play. My hope is that the items that you find in my shop will do the same for you in your home by creating special places for you and your families to create your own magical memories. Thank you for stopping by and looking around. I hope you enjoy what you find. Hi, I am Terri. I opened my shop back in 2009 after our first was born. Fast forward to present day and we now have 4 little ones! My free time may have decreased but my love for creating has only grown. I hope my creations can bring you joy! We partner with Comfy Down for all of our floor pillow inserts. Their items are made in the USA. They source exceptional raw materials from all over the world, manufacturing all their products in the US, and follow eco-conscious processes. J and L Custom Woodworks is a Firefighter, Nurse Husband Wife Team that does custom woodworking on their days off. They are currently making all of our wooden booksling brackets. We are so excited to be partnering with them and have our products made 100% locally and in the USA. Maxima is the most innovative woodworking company in Haiti. They empasize job training and personal development for local Haitians. We love the heart behind their business and that they provide fair wages and quality working conditions. Items in the shop are all washable, but for best results follow the care instructions on your tag. Play Canopy: Wash with mild detergent in cold water on gentle cycle. Tumble dry on low heat and for best results remove just before completely dry. 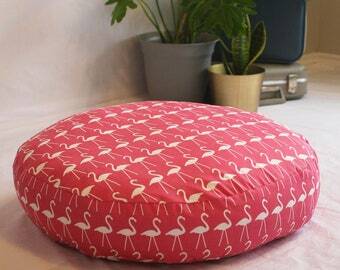 Floor Cushions : wash cover in mild detergent in cold water, hang to dry. Book Slings : for best results spot clean, although you may also wash the book sling in mild detergent in cold water and hang to dry. Iron from the back side. At this time I am only offering the items for sale in my shop and am not accepting custom orders. If you would like to put in a request for a future item to be carried in my shop please feel free to tell me! Canopies are 8 feet tall. If you have a taller ceiling or want your canopy to sit lower on the floor you will need to lower the canopy with a small chain or rope to the desired height. Floor Cushions covers are 28 inches across and 5 inches tall. Book Slings come in 3 sizes, 2 feet, 3 feet, and 4 feet long. At this time we offer wholesale on our book slings and floor cushions. If you would like more information please email me and I can send you a line sheet. Are brackets included with my book sling? yes, our custom brackets come with each booksling order. We designed them and they are made locally by a husband wife firefighter nurse team. Can I order the Brackets with out the fabric? No, I am sorry but at this time we only carry our book slings as a complete set and do not sell our brackets individually.